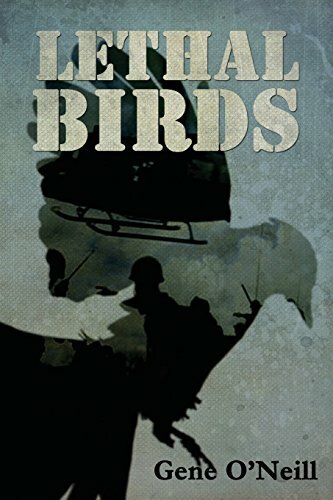 Lethal Birds is a collection of five memorable stories from award winning author Gene O'Neill. It includes a novella that kicks off the beginning of his new novel The White Plague, the Bram Stoker Award ® winning novella The Blue Heron and Bram Stoker Award ® nominated novella Rusting Chickens. Operation Rhinoceros set in Borneo where Gene spent some time avoiding local delicacy the Sago palm tree grubs, available raw or roasted, and supposedly sweet and as tasty as prawns, rounds out the collection. The idea for the book occurred to Gene at a birthday party for his grandson, T.J. His mother made a birthday cake per his instructions, of the popular game, Angry Birds. Gene looked at that cake and remembered some of his best stories included or had birds in the titles and so Lethal Birds was conceived.